Dressing for yourself is the best and I love this classic outfit. 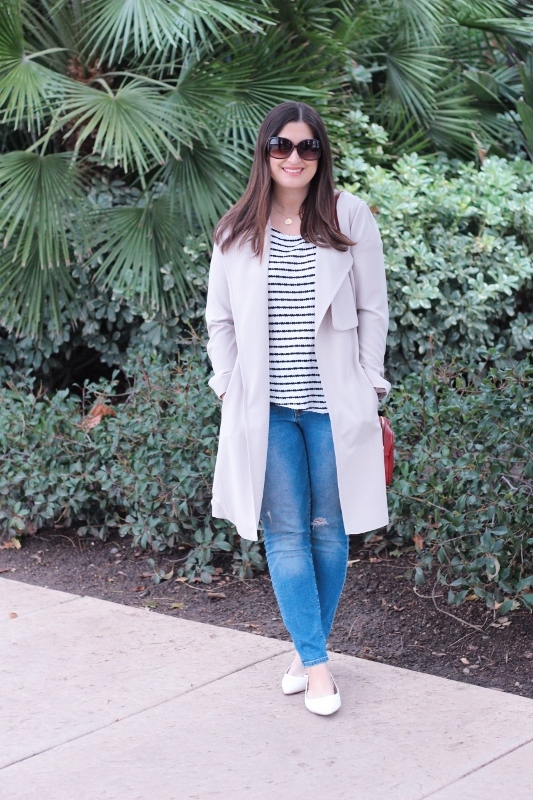 I would really love to add a classic trench to my wardrobe. (And I could certainly use it right now with the rain!) Yours is perfect! Loved reading your list of classic favorites! You don’t have a trench coat Gina?! I thought you did, but you do have other beautiful coats :) I can’t get over how much rain we’ve been having. 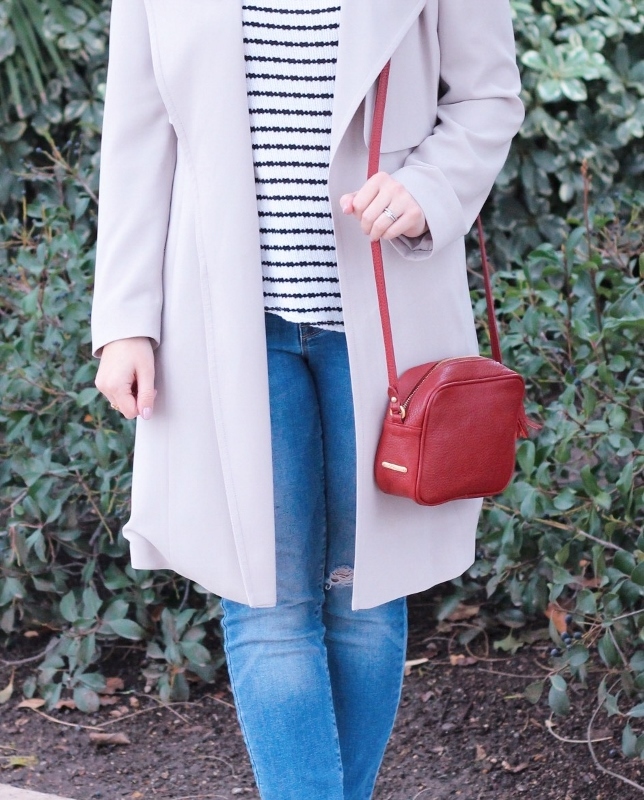 I’ve been putting this soft trench to use! My style has been changing for the last couple of years as well and I feel like I have some difficulty with the "classy=boring" part because even though I look for a more mature look I still want to look fun and fresh. I don't have a red bag but I'll definitely take your advice and try to find one, it seems right up my alley. These are definitely all great items every girl should have! I have had a classic trench coat on my list for years. I'd love to save up and really splurge on one because you know you will have it forever!! Yes I agree, a great trench (especially one from Burberry or other higher end designer) will last a lifetime! I love this description of your style evolution. You are so beautiful inside and out, ad I love your classic look! I love your trench coat. You have such a great sense of style! I admire your easy to go pieces.